MATERIAL : Made from P.E. material. 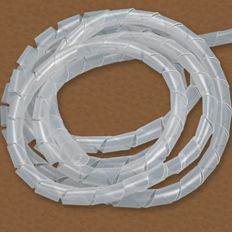 Excellent in insulation and binding strength. Color : Standard in natural. Black and color available upon request. 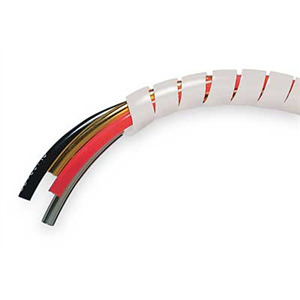 Flexible construction enables bands to follow wire ways easily. Expand spiral range almost without limit.